Bayonetta 1 and 2 Heading to Switch + News of Bayonetta 3! Announced at the Game Awards, two of my favourite games of all time are heading to the Nintendo switch. For those of you who have never played these titles, think of them as a third person action game, akin slightly to Devil May Cry, but with the visuals ramped up from 10 to 12.5. The stylish and charismatic protagonist is a witch who is fighting all the realms of Heaven, featuring silky smooth controls and a move-set which is constantly upgrading throughout the games, these are thrilling and replayable game experiences which border on being legendary. There are a few features for these titles that have been reported, these have been officially unconfirmed. But from a post on Platinum Games website, which has since been pulled, these are the possible features that will be included in the Switch versions. 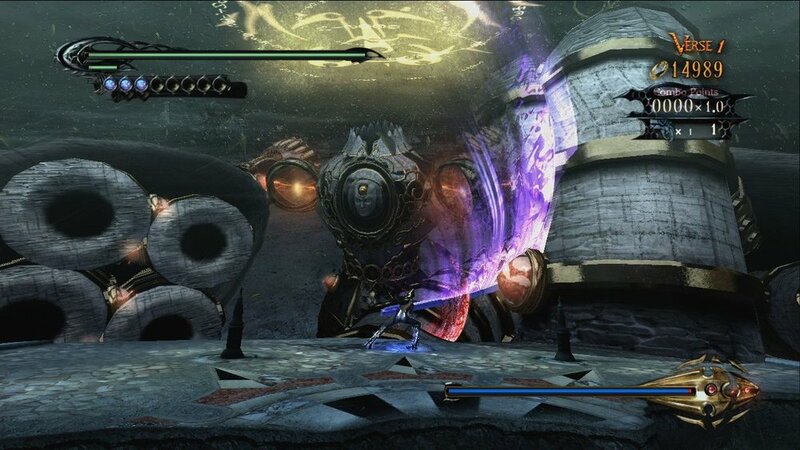 Wireless Co-op Play- co-op in Bayonetta 2's Tag Climax mode was originally an on-line only feature, in the purported feature for the Switch version it will be now be available locally. Video Capture - It's to be confirmed, but rumoured to allow the recording of video capture of gameplay up to 30 seconds before the capture button has been pressed - perfect for showing off your impressive combos! This bundle will be available from February 16th 2018 for the Switch, the bundle comes with a physical copy of Bayonetta 2 - the copy of the original game will be digitally available only. A wealth of collectable features from this special edition will delight fans old and new alike! Published by Nintendo, it will again be developed by Platinum Games, it shows promise for the switch, bringing another M rated game onto the system and solidifying their ongoing relationship with Platinum Games.